I was in Europe the other week and spent a couple nights watching Mark Zuckerberg testify before the US Senate. At the time, Facebook was in the headlines in a very negative way and its stock was tanking. It was a semi-national crisis. But the Senate sessions were a bust. Each Senator had about five minutes to ask questions. Most Senators spent their time grandstanding or asking uninformed questions. “So, how do you sustain a business model in which users don’t pay for your service?”. “Senator, we run ads”. And targeted ads were at the core of the Cambridge Analytica controversy. Rather than outrage, I felt sympathy for Mr. Zuckerberg. Others must have felt the same way because after the hearings, Facebook dropped from the headlines and no one is talking about Cambridge Analytica. The press has moved onto new outrages. Robots weren’t around in the 1950s when this pair was made but I am sure people were complaining about something back then. But not this pair of shoes because they have never been worn. Which is sort of remarkable. I don’t believe there are many unworn examples of vintage French Shriner and Urner shoes in existence. French Shriner and Urner was a Boston based company that was founded in 1893. 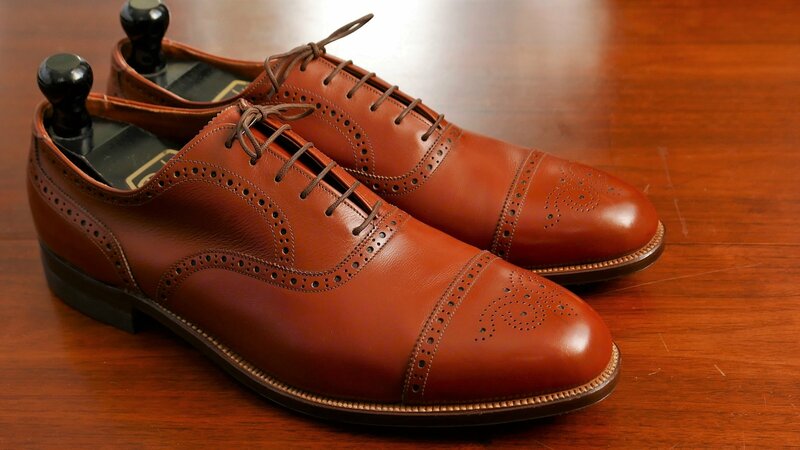 The company made mid-market to high end shoes. 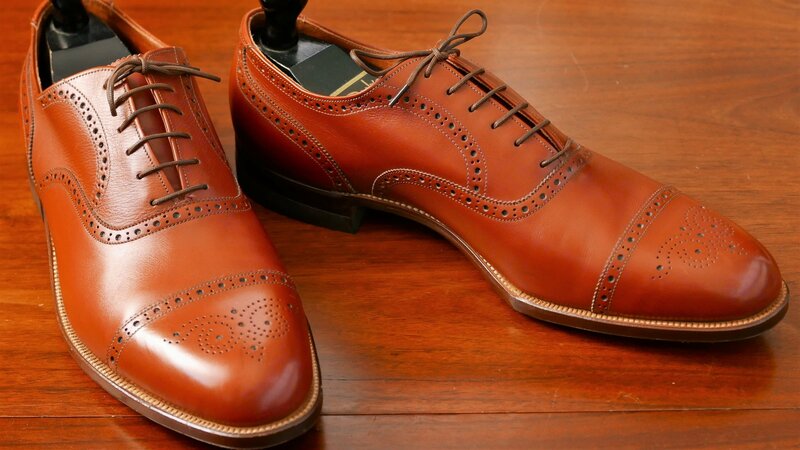 Like many US shoe manufacturers, the company began to struggle in the 1960s and eventually the company name was sold to US Shoe Corp and the Boston factory was closed. The French Shriner shoes of the 1970s were significantly lower quality than the shoes from the decades before. The brand still exists today and is making shoes that I won’t buy. The Urner name became a smaller part of the French Shriner logo and appears to have been largely dropped in the late 1950s. Urner is entirely absent by the 1970s. So, if the shoe has “Urner” in the label, it is very likely made before the late 1950s and definitely before the US Shoe Corp purchase. There is no date code in this pair but I am assuming the shoes were made in the early 1950s. 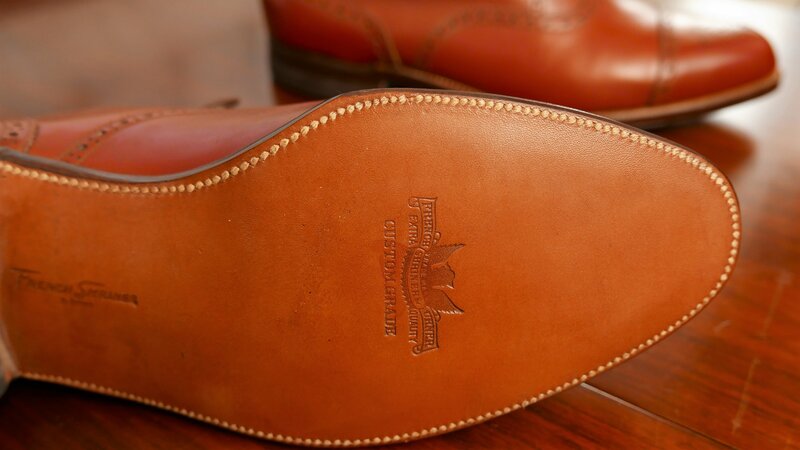 The upper leather is smooth and supple even after 60+ years. I have conditioned the leather solely with Bick 4. There are a few minor marks from handling over the years but the pair probably looks the same as it did when it was shipped out the Boston factory. 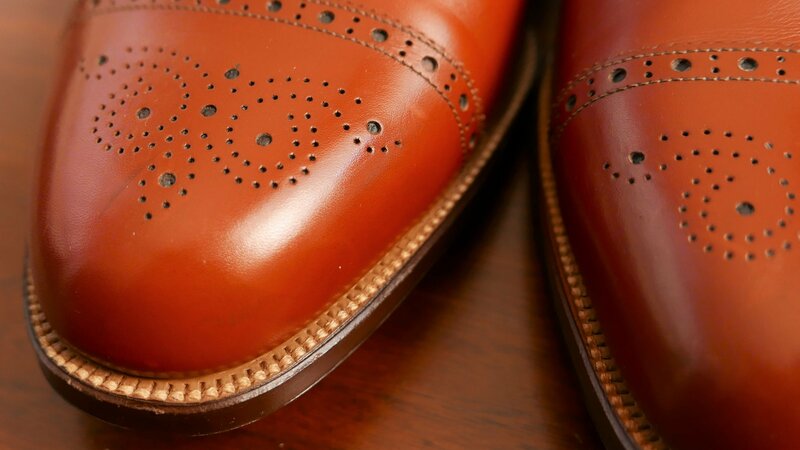 The single leather Goodyear welted sole is attached using a 3/4 welt and has a slight spade shape. 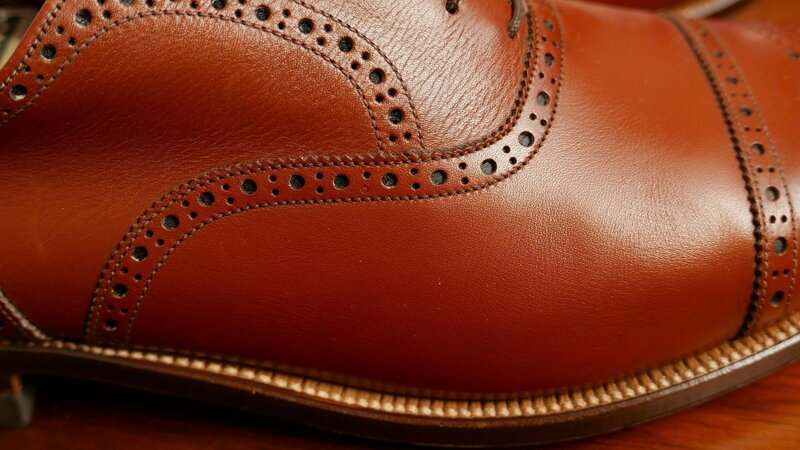 The welt stitching is finer than any of my modern Alden or Allen Edmonds pairs. 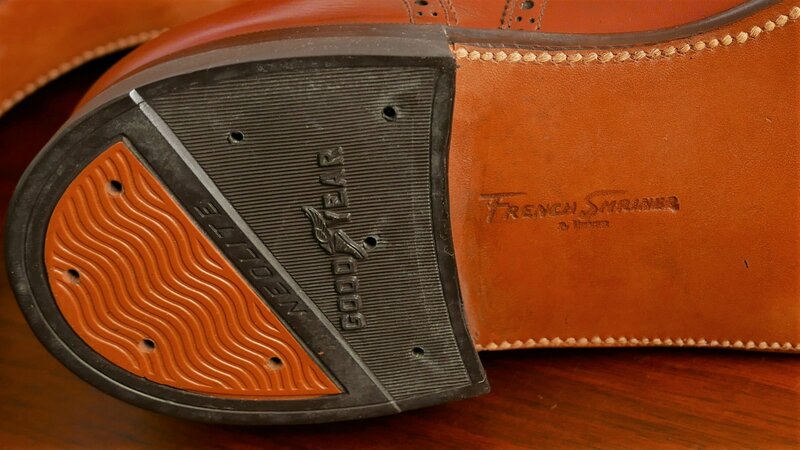 The heel has a thick Goodyear Neolite top lift that appears to be original. 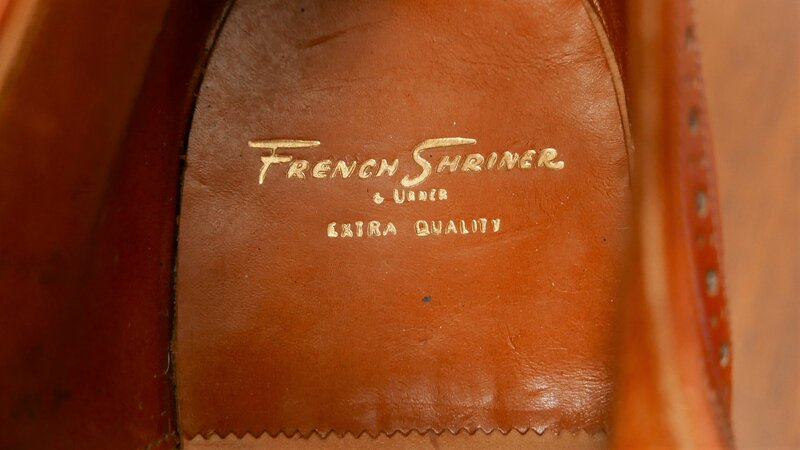 The French Shriner and Urner logo is proudly embossed on the shoe sole. The shoes are mostly lined with cotton drill. 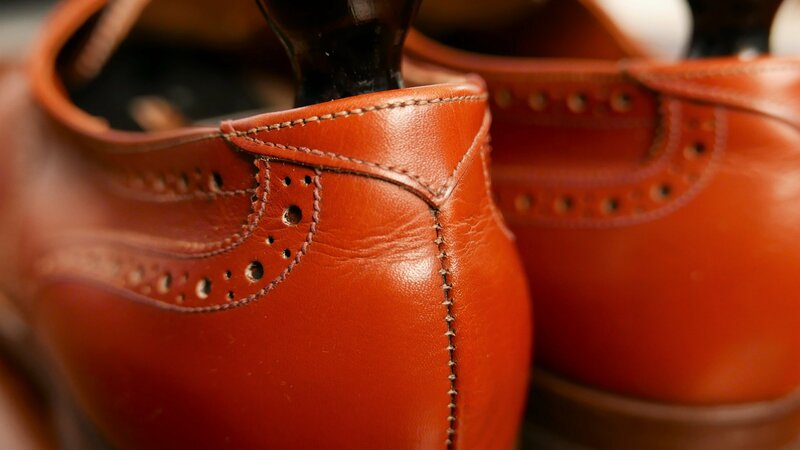 This is the most common lining used in shoe construction during the period. Full leather became common in the 1960s. 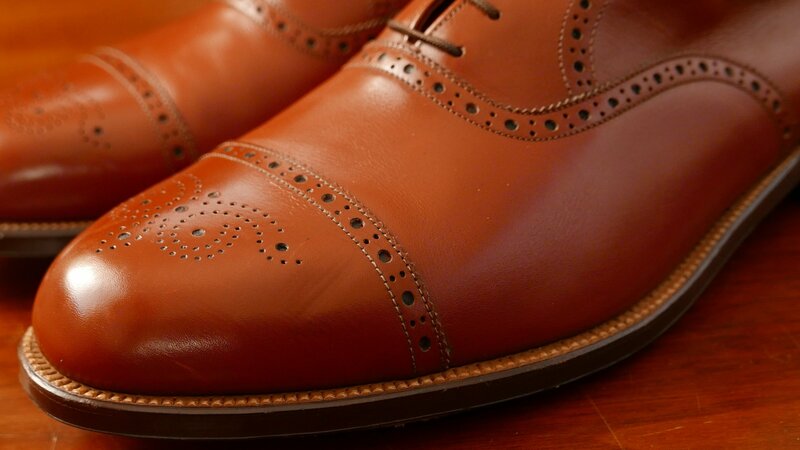 The size markings of the shoe are unusual in that three widths are listed “B C D” on the inside of the shoes. The “C” must represent the midsole width. Another unusual thing about this size is that is difficult to find any shoes from the 1950s that are size 12+. Peoples feet were on average much smaller. All the space age products in the 1960s made us bigger. Credit (or blame) Tang. 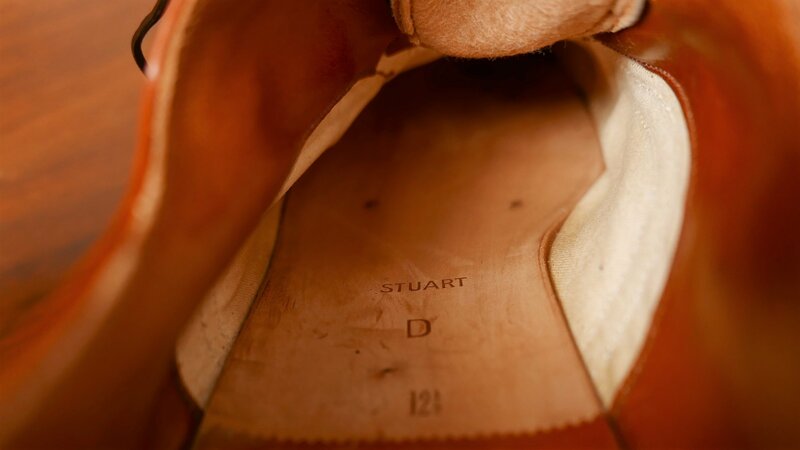 The insole is embossed with the name “Stuart”. Is this the model name? The last? My guess is that it is the shoe last. 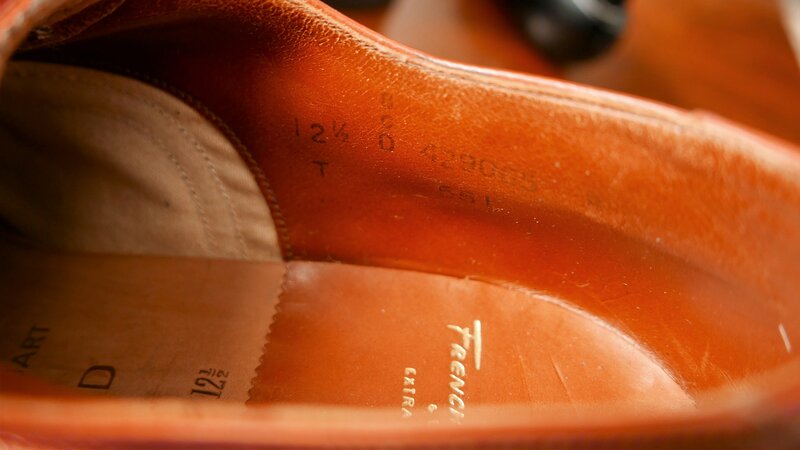 Very old FootJoy shoes will list the last on the insole of the shoes. Unfortunately I don’t have any vintage French Shriner catalogs to check the name against. I hope you (and the Google robots) enjoy the photos. Leave comments below with any questions you may have but you must first prove you are not a robot. To a robot. Always when I see such shoes, I am wondering, are these for the museum or to be worn? That’s a good question. I haven’t worn them yet. They are in a box in my personal “museum”. A subsidiary question to very old shoes in good condition. Will they use faster than new shoes? And sub-subsidiary question, how to treat the inline leather? I own some shoes from the 60ies and a pair of Stetson that must be at least 45 years old as the plant closed in 1973 – how reasonably refresh? These shoes wouldn’t be in such nice condition if they weren’t stocked somwhere unworn for loooooong time..
My experience is that you need to repeatedly condition very old leather before wearing it. Old leather will crack if dry. Also, I do condition the soles. This robot, for one, approves with a big “digits up”, David… A marvelous find – congratulations! 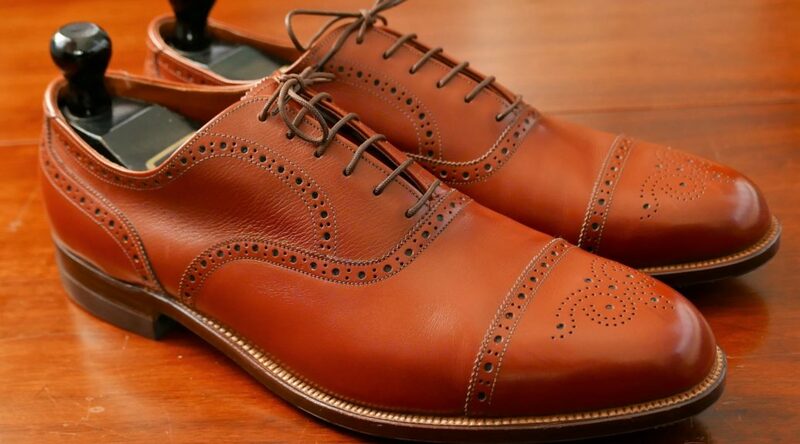 Beautiful shoes! Remarkable that the condition is so pristine and that they would still look great with a suit today. Besides the subtle spade shape, these do not look dated. Also: seeing the Senators ask Zuckerberg questions was like watching folks in their 70’s use a smart phone for the first time. My father wore only French Shriner shoes from this period.